Our direct port systems include welding CNC bungs into your manifold, blending the bungs into your ports, our annular small body nozzles, .120 bottom exit nitrous solenoids, small body .156 fuel solenoids, filtered inlet fittings, with soldered and heat shrunk wiring, as well as, a y fitting and nitrous lines ready to hook up and run. We flow each and every system done in house and custom jet map every one with five tune-ups and all necessary stainless steel jets for the tune-ups. That is $960 worth of jets included in the system!! We can also do dry nitrous systems and E85 applications!! 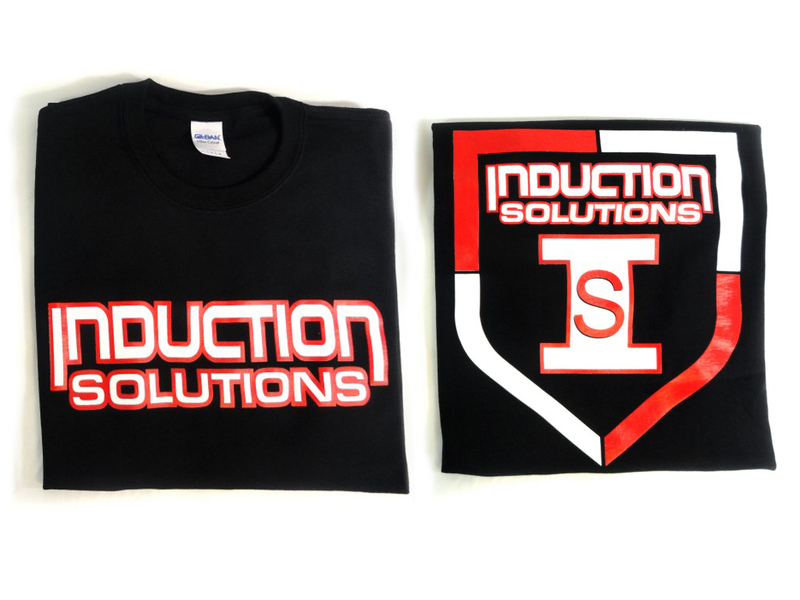 System also comes with a free Induction Solutions t-shirt. We can work with you to meet any hood clearances, class regulations, etc. All direct port systems are custom to your application! At time of direct port purchase a flow tool can be bought for $50 off, and any additional t-shirts are half price. To give us the appropriate information please download and fill out one of our tech sheets and ship it along with your manifold to the shop address in the contact us section of the site.